About 12 years ago I stumbled across a project from Ron Taylor, G4GXO called the Belthorn Special. 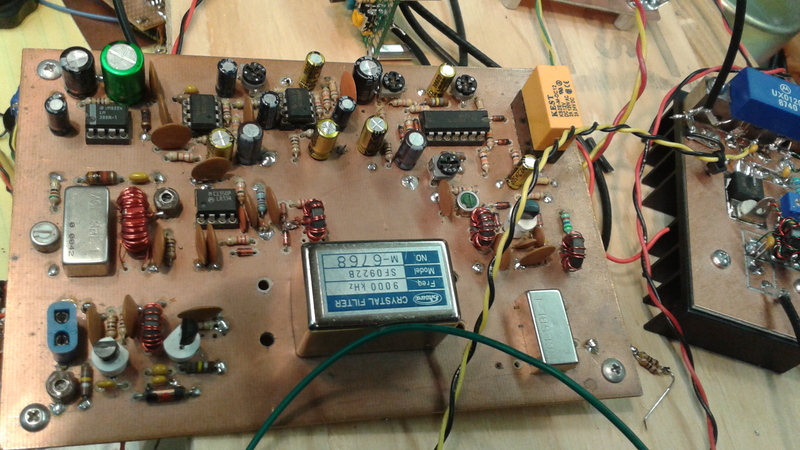 The radio was basically a complete SSB transceiver IF stage complete with AGC, Audio Amp, Microphone amp and employed the MC1350 as the IF amplifier. 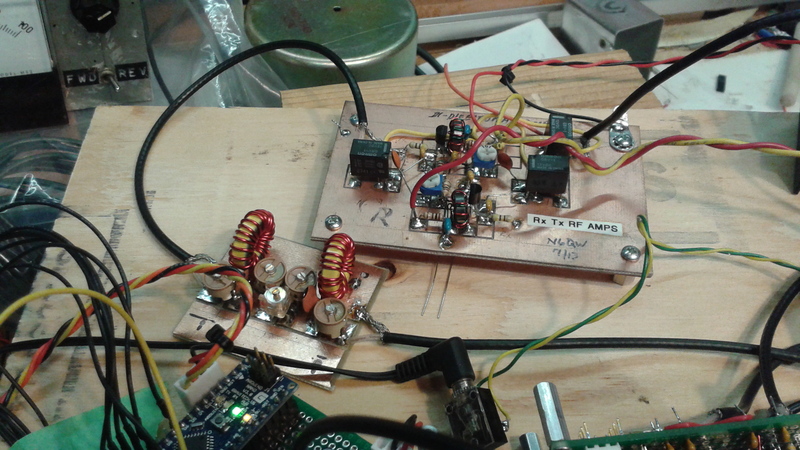 I built that radio and found it to be an excellent project. 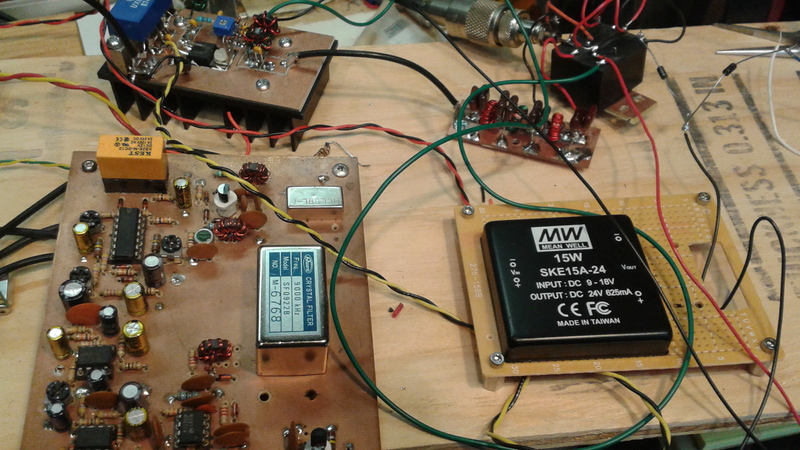 The end user was left on their own for the VFO and linear power amplifier stages. The Belthorn was retired about 7 or 8 years ago and has been sitting dormant in a box. With the advent of the Si5351, I struck upon the idea of modernizing the Belthorn complete with a color display. Once again I am enjoying this amazing radio. The updating includes the use of the Si5351 operating at 4X the lo frequency which is then divided down to 1X using the SN74AC74 which has the net effect of improving the phase noise by 6 dB. 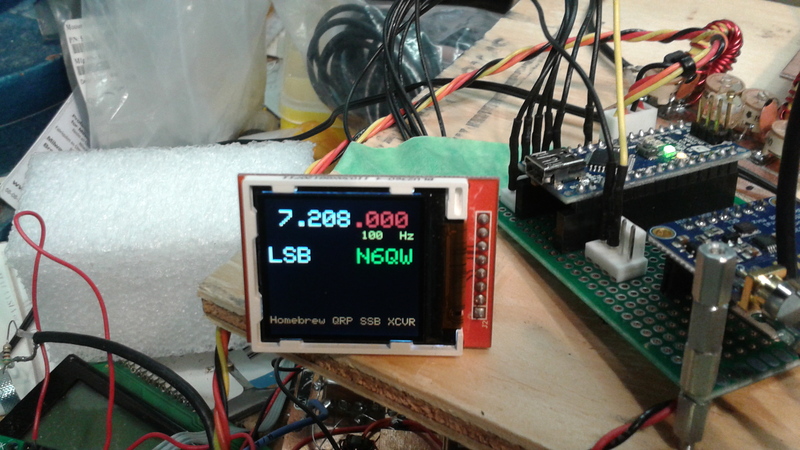 An Arduino Nano provides all of the control functions. 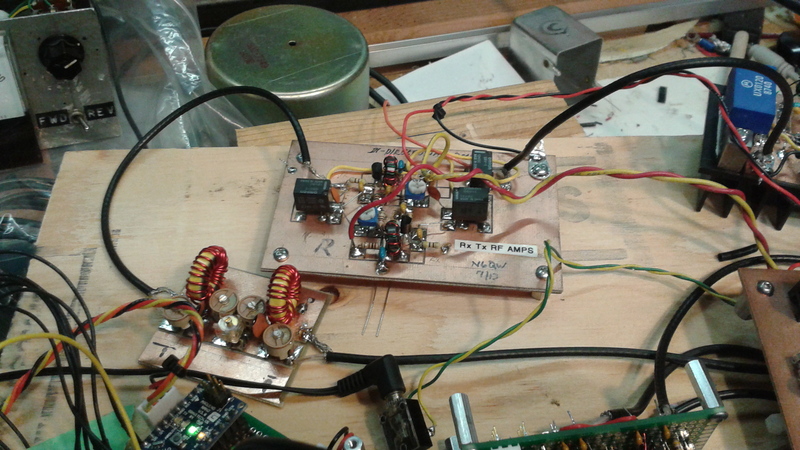 For the Tx RF chain I used a 28VDC Motorola gain block amplifier driving an IRF 510 to 6 watts output. 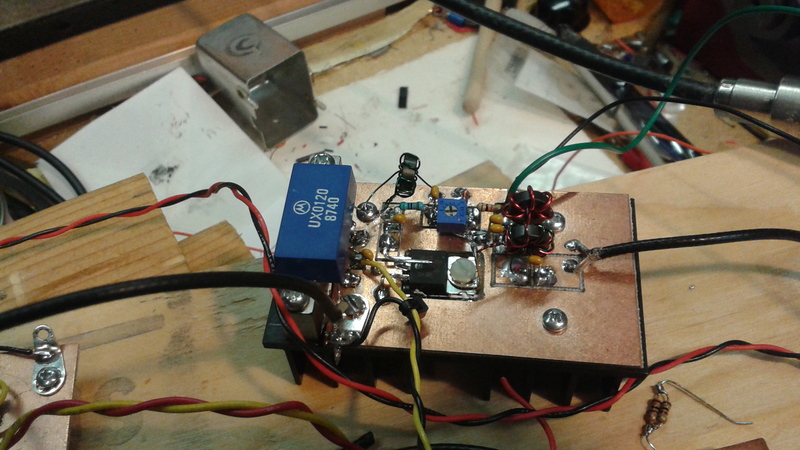 The CA2818C is powered from a Meanwell DC to DC converter which can take 9 to 18 VDC input and produces 24 VDC at 600 Ma. 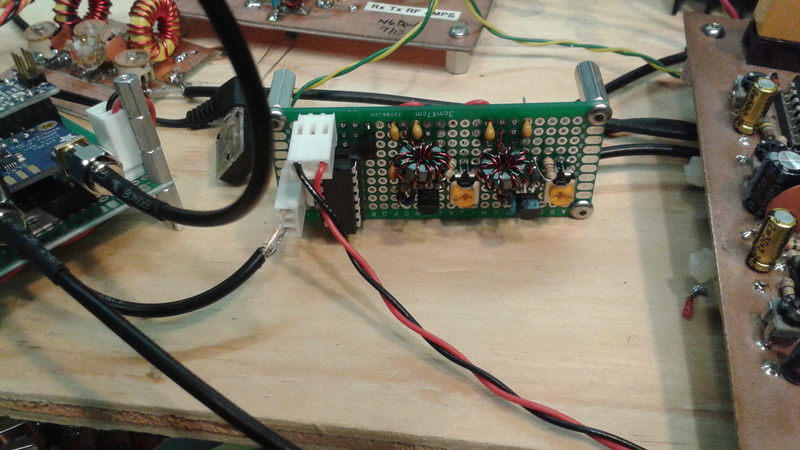 This enables the radio to be operated from 12 VDC.